NVIDIA released two Fermi-based architecture, the GeForce GTX 460 graphics cards, which differ in the memory bus and the amount of memory (192-bit & 768 MB and 256-bit & 1 GB). GeForce GTX 460 is based on the 336 equipped with a CUDA kernel and TSMC's 40 nm technology, but consumer product category GF104 graphics Process. Many video card manufacturers presented their views at the same time a new video card with a PCB and cooling solution companies have designed their own engineers. Many manufacturers offer the market set by NVIDIA's reference clock frequencies (675/1350/900 MHz) operating in the basic model and GF104-GPU and GDDR5 memory, the overclocked model. 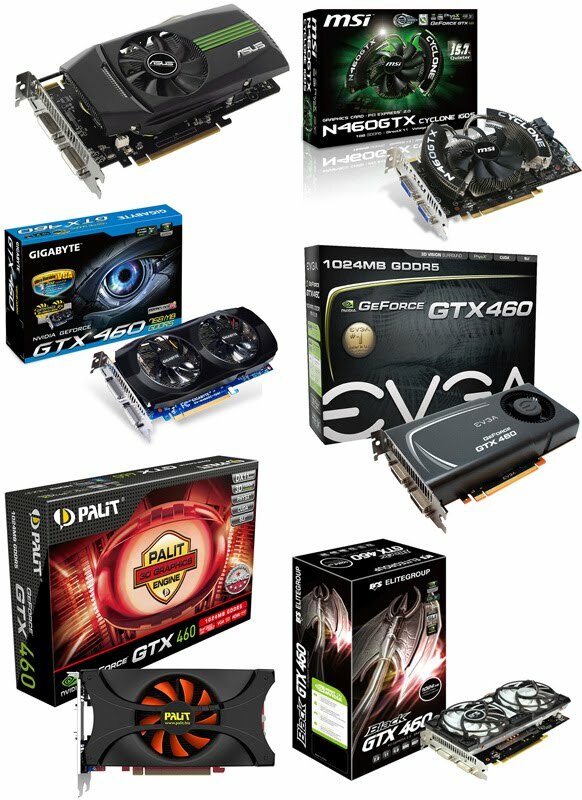 Overclocking GPU models are overclocked about 700-800 MHz and GDDR5 memories . Cooling will have the big differences, and manufacturers have developed a range of different solutions.